Michael have a happy new year and return with more brilliant photos. Thanks George and have a Happy New Year as well! Great photos and Happy New Year to you! It’s hard to pick favourites out of this exquisite group of images but I think mine are the starry night images. There’s something ethereal and mystical about those ones. You are such a talent, Michael. I wish you all the best and lots more photographic adventures in 2018. Thanks for sharing beauty with the blogosphere. Stunning as always, Mike. But I gotta ask, what is happening at 2:18? Thanks Eliza. I had some fun with PhotoShop in that photo. I had my friend pose on the side as if he was jumping and then I copied that part of the image and pasted into another one showing the Grand Canyon below. I love your photos. And what a great year you’ve had seeing so many beautiful places. Thanks Cornelia. Thanks for the New Year wishes and the same for you as well! Wow! Such powerful images! I really enjoyed looking at your year in photos and the music choice was great too. Excellent review of your year! I visited the Temples of the Sun & Moon in November and I like your image of them here. Unfortunately we did not have a great angle for the light and with no clouds they got harsh looking very quickly. I need to go back. All my best in 2018! These are truly NG shots! Thank you for the slide show sharing your travel adventure. Thanks for the treat! You love how you capture nature’s mood in your photography. Happy New Year! Fantastic collection, Michael. What a year! 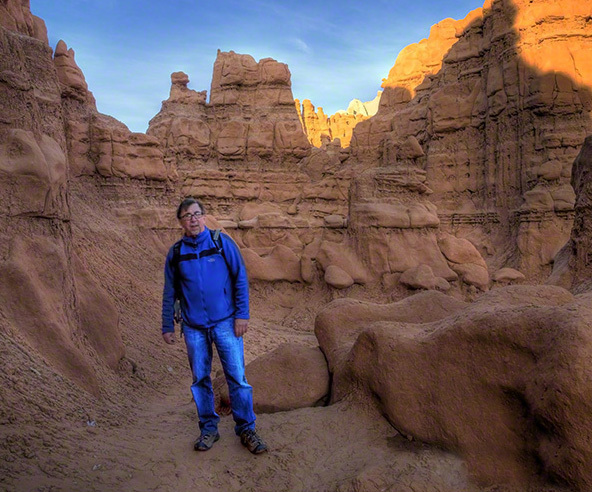 Snow at Bryce, the storms, the narrows…so many favorites. Looking forward to what your lens finds in 2018. Happy New Year! Thanks Jane. Looking forward to 2018 and seeing your images too! Your photos & places you’ve been – a breath of fresh air. Thank you. Fabulous shots. Please tell us the location of the desert shots. And thanks for putting all this together with music. Nice! Gorgeous! I’m a follower but for some reason I don’t get notices when you post. I’ve missed some good stuff! Hmmmm…you could be on to something there….I use Firefox which isn’t always cooperative on some other websites. I think this slide presentation of Michael Andrew’s best photos for 2017 set to music is something special! I hope you like it as well. Stunningly beautiful. Thank you for sharing your amazing photos.